Mark one up for the Bree Cheese. In the crucial final game, they put away the Lake Town Archers 5-2 at Lake Town Park to win the Hobbit Series, 2-1 and advance to the Fellowship Series. Although his team came up short, Lake Town’s Garon Paddywhack was named the series MVP, with many of the league media feeling the series would have been over much sooner if not for his contributions. “Paddywhack did a lot to keep Lake Town in it, no doubt about that,” said Cheese manager Tonak Gnomedragger. 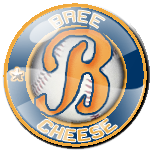 The Bree Cheese will play against the Carrock Bears in the next round. Carrock had a bye in the Hobbit Series. The Fellowship Series schedule will be announced after the Hobbit Series finishes.